Complimentary welcome glass of Cava when booking a table for lunch or dinner. `MallorcanTonic complimentary cava ´in the subject box. 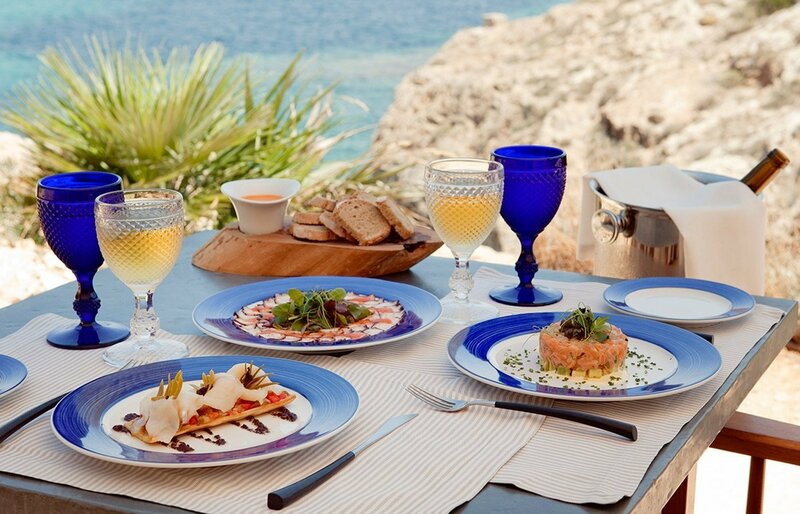 The Sea Club Restaurant at Cap Rocat located on the waterfront in Cala Blava should be on eveyone´s wish list of places to dine whilst in Mallorca. Cap Rocat started life as a defensive fortress in the late 19th Century. Today its spectacular drawbridge and battlements welcome discerning hotel guests who are here to discover more about this genius conversion from fortress to hotel which was the brain child of architect Antonio Obrador. 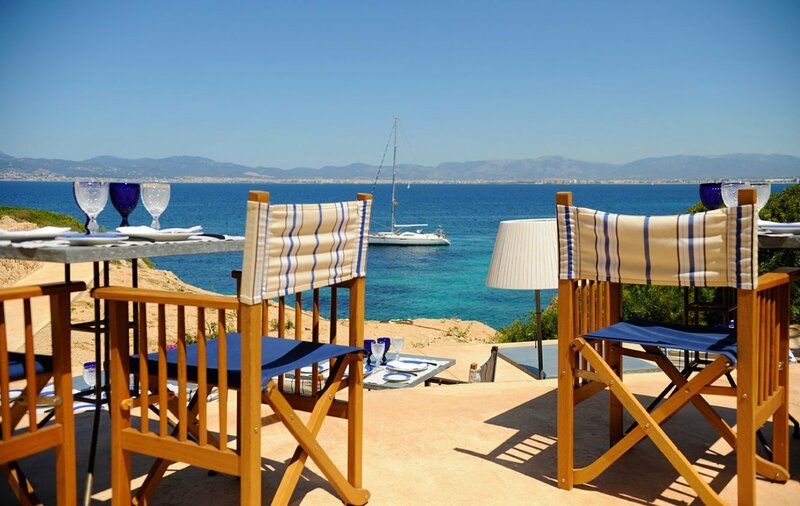 He has worked magic on this stunning cliff-top location with views right over the bay to Palma and with the surrounding area a protected wildlife sanctuary,this corner of Mallorca is guaranteed to remain blissfully unspoiled. On arrival at Cap Rocat you will be welcomed with a smile and whisked along by a member of staff in a golf buggy down to sea level round a corner and wow…the seascape and cove open up before you and The Sea Club Restaurant. 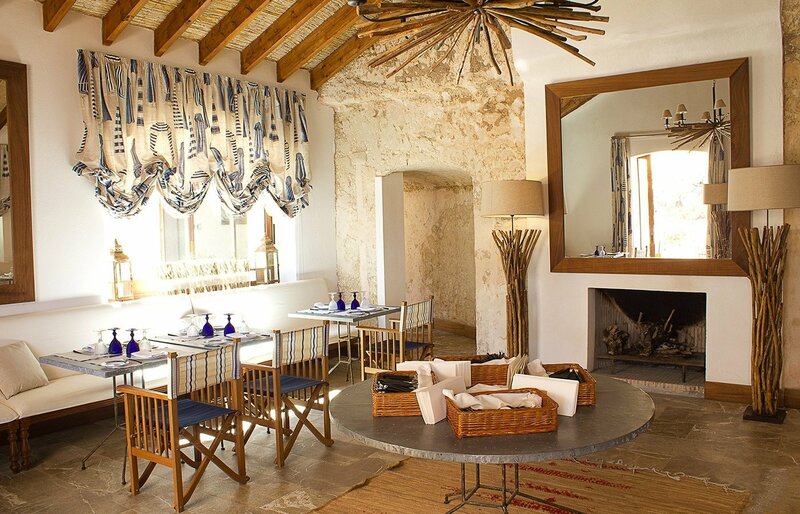 Plan an extended lunch at The Sea Club Restaurant at Cap Rocat and while away several hours at this wonderful waterfront restaurant so tucked away that you would never know was there until we had told you about it. Usually an open-air restaurant but diners are offered on a cooler day the opportunity to retreat into the ´rustic` interior and still take in those amazing views. The Sea Club Restaurant is popular with hotel guests and non-guests, some of whom arrive by land and some by boat. Chef Víctor García at The Sea Club Restaurant has put together a relaxed Mediterranean menu prepared using a traditional Mallorcan firewood oven and grill including treats such as thinly slice Iberian Bellota ham and crystal bread, savoury tart of roasted tomatoes, green peppers and onion and smoked cod and lobster paella. So, sit back, linger over lunch in Spanish style, pop your sunglasses on, order a chilled rosé and enjoy the view with the knowledge you have earned a well deserved siesta! Images kindly provided by Cap Rocat .